Ready for spring smiles, Sugar Fix Readers? We know it has been a gloomy, rainy week here in The Windy City, but it looks like the sun has finally come to shine this morning! And we heard that it’s supposed to be a high of 70 this weekend?! Hooray! Sugar Fix had a busy and dental filled week! 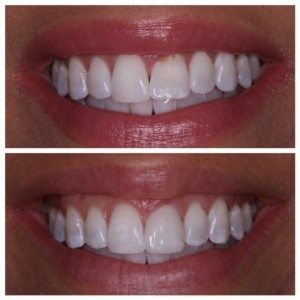 We had a patient come in for a consultation wanting her teeth to look perfect for her wedding, and this week we got to see her final result! Cosmetic dentistry is Dr. Jessica Emery’s PASSION! She loves to see smiles transform and see her patients walk out beaming. Check out the final results below! Our patient LOVED her new smile! We also had a great team meeting this week to catch up on everything Sugar Fix. We love to take a step back and listen to everyone on the team to make our great office run! Communication is always key and this is our chance to make suggestions and bring ideas to the table. 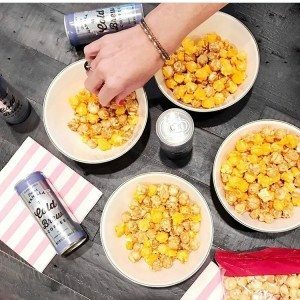 And by our surprise, it landed on National Carmel Popcorn Day. Dr. Emery surprised us with a yummy treat to snack on! So many goodies for National Caramel Popcorn Day! Do you ever have a question, concern, or just want to talk teeth? Our door is ALWAYS open! We would love for you to come in for a consultation with Dr. Emery and discuss your wonderful smile. Sugar Fix Dental Loft would love to be your new dental practice! We hope you are able to get outside this weekend and enjoy the amazing weather! !